Pray for rain and for the people that live here and the firefighters. 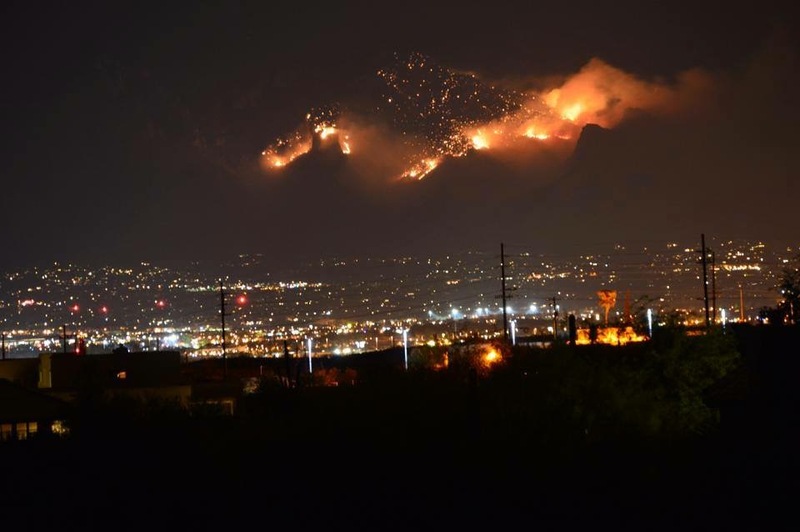 I have lived here in AZ 24 years and have never seen anything so bad. WOW! Unbelievable……. Amazing photos. Looks like Hell on Earth. Good luck, Dorothy. Stay safe, girl. Thank you NC. I live about 100 miles from this inferno. Thank the Lord. My friends daughter-in-law took the pics. I guess they are just letting it burn for now. I can’t imagine the poor animals that are fried. it (the fire) is doing exactly what is needed. At night the fire burns slowly downhill during the day the fire burns uphill, but the uphill part has been burnt leaving no fuel for when it turns back on itself. So this helps out the firefighters. How odd. I’m wearing one of my Oro Valley t-shirts today. My sister used to live there. When patriots take refuge in the hills, ZOG will burn them.